When I saw that this mug was out there, I couldn't resist but to snag it! It's currently very popular and I was lucky enough to get it at the Disney Store's website last week. It was sold out for a while and just it just so happened to be back briefly when I checked. Not long after I purchased it, it had already sold out again! 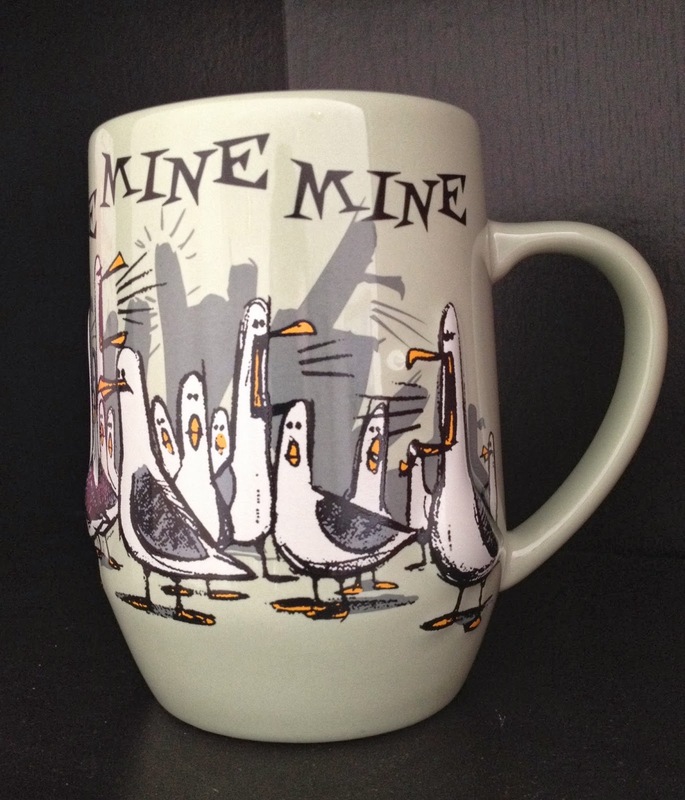 This is part of the DisneyStore.com, Theme Park and Cruise Line exclusive line of Finding Nemo "Mine, Mine, Mine" seagull merchandise which includes a wide selection of products including: this mug (of course), a plush, a pin, a travel thermos, a 9" Vinylmation, a magnet, a luggage tag, an iPhone case, a snow globe, a plastic cup with straw, men's and woman's t-shirts and more. There are even some more obscure things such as a candle, a throw pillow and a toothpick holder! Check them all out here at LaughingPlace.com. 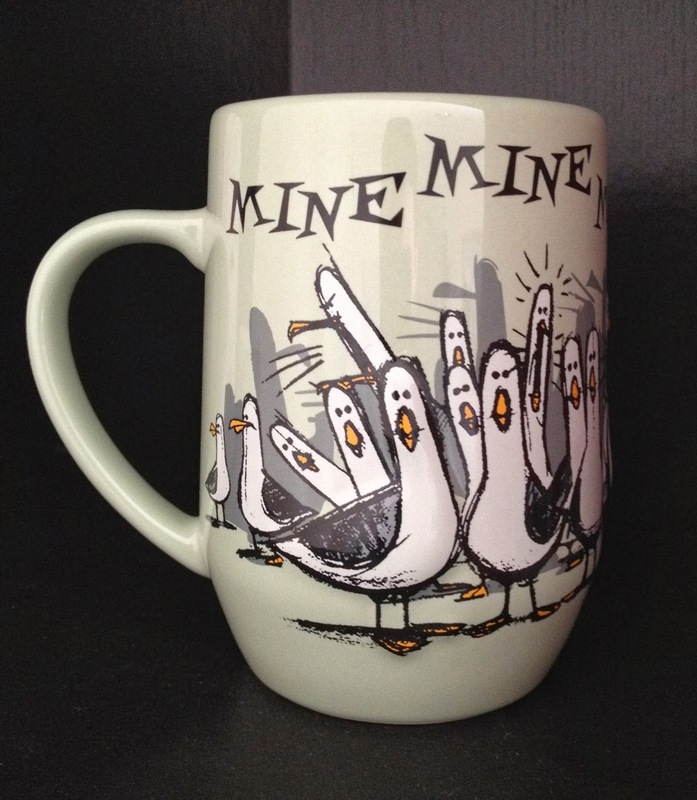 I remember I saw a bunch of the "Mine, Mine, Mine" items listed above at the Castaway Cay (Disney's private island) gift shop during our Disney Cruise of '12...but it only now stood out as being really clever and a must have addition to my collection! As usual with the official Disney merchandise mugs, this product is extremely good quality and very well made. 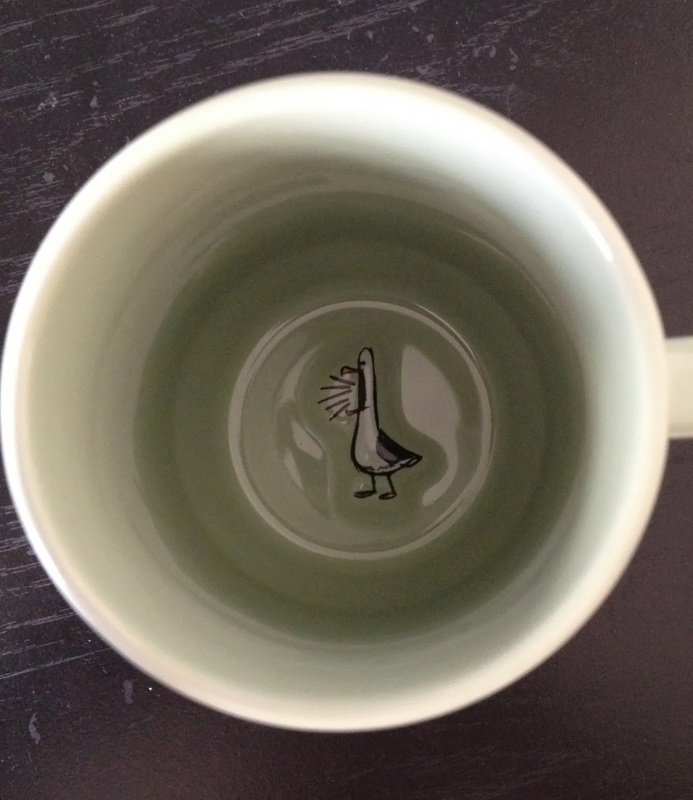 I love the details from the handle to the inside of the mug. It's made from a study ceramic and is dishwasher safe. 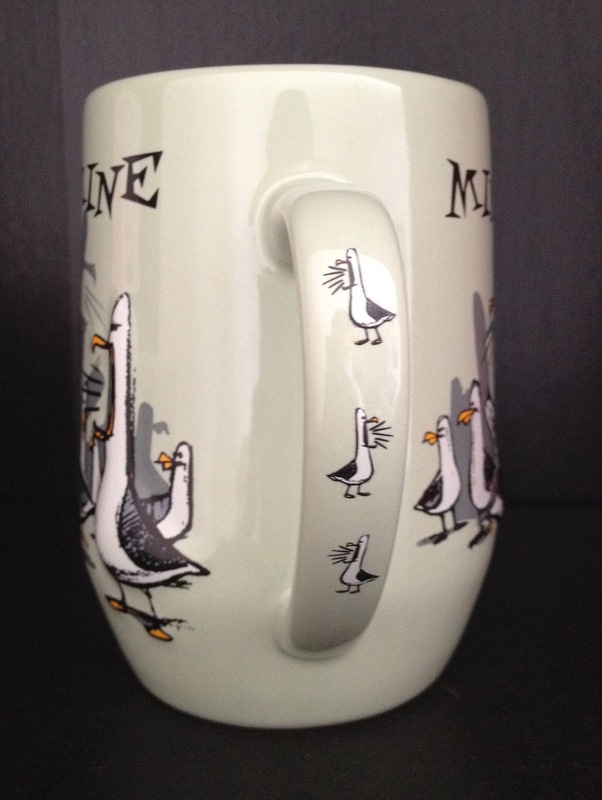 It's hard to tell from the pictures, but some of the seagulls actually stick out from the mug which give them a 3D effect! 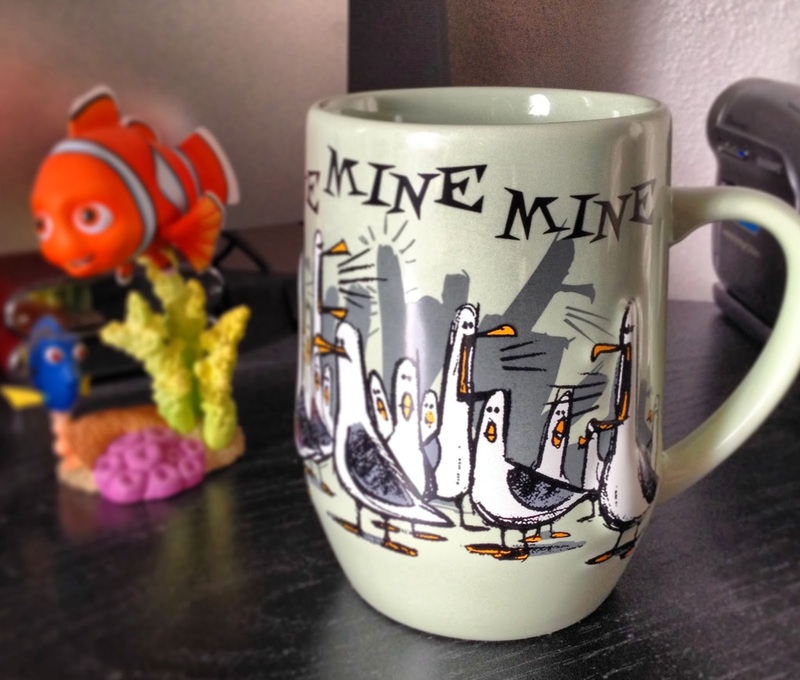 If you're a fan of Finding Nemo, I definitely recommend getting this mug while you can still get it! It's really fun, whether you use it as a display for your desk or use it to drink your hot chocolate from. Thanks so much for stopping by! 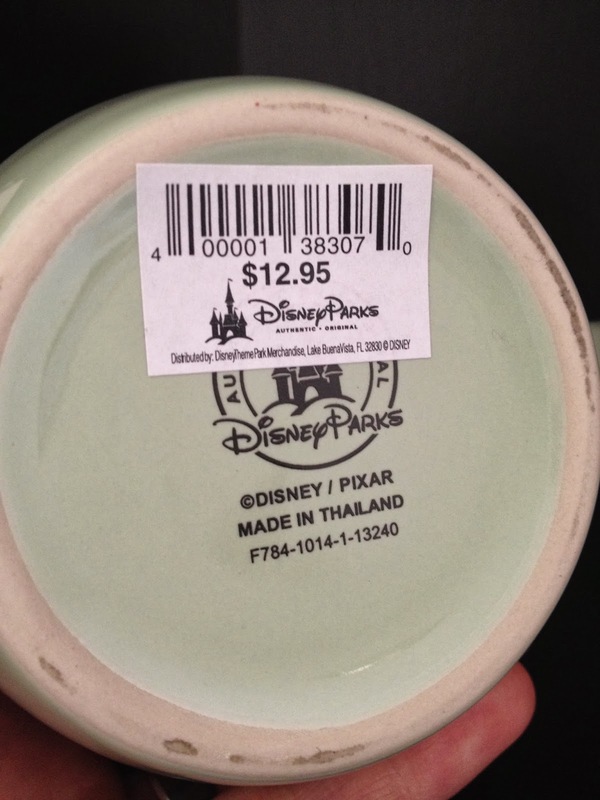 Be sure to check back daily for more items from my Pixar collection. Much more to come, stay tuned!